Café Sunny provides healthy food and beverage and provides vocational trainings and employment opportunities to disadvantaged. 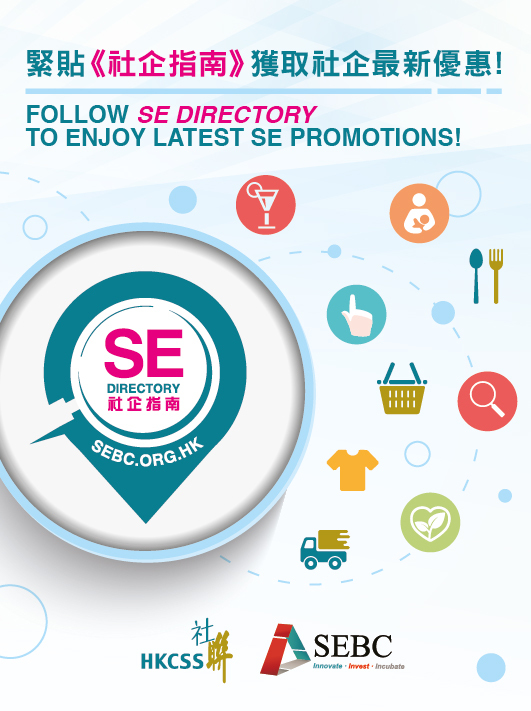 From now to 31/12/2018, customers could purchase Po Leung Kuk (Rehabilitation Services) Social Enterprise Gift Voucher (Face value: HK$50 or HK$100) at 10% off with screen shot of“SE Directory” App. This gift voucher is only applicable at Po Leung Kuk (Rehabilitation Services) Social Enterprise – Café Sunny, Home@26 & Green@station. This gift voucher cannot be exchanged for cash and non-refundable. 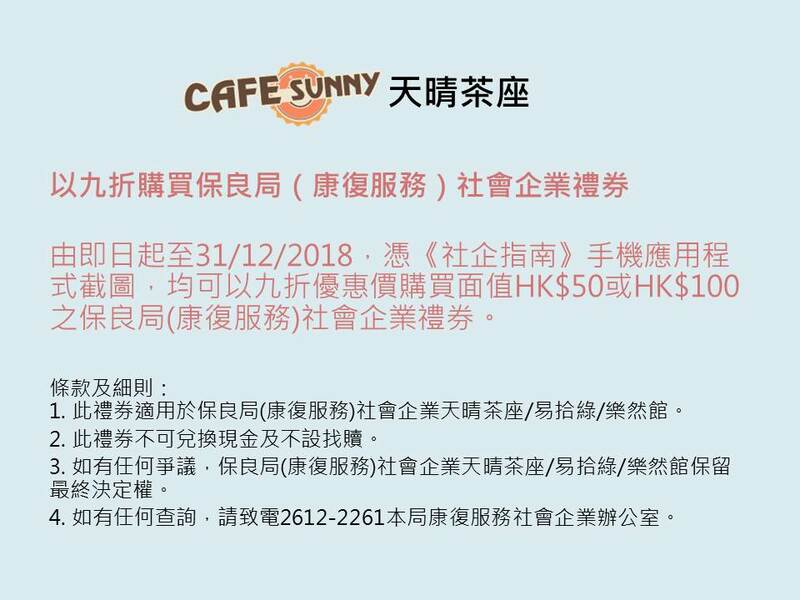 Po Leung Kuk (Rehabilitation Services) Social Enterprises: Café Sunny/Home@26/Green@station reserves the right of final decision in case of any dispute arising from this gift voucher. For any enquiries, please contact Po Leung Kuk (Rehabilitation Services) Social Enterprises Office at 26122261.